This article is meant to assist you with adding Insurance Providers that can be used on the Insurance tab for Cases. 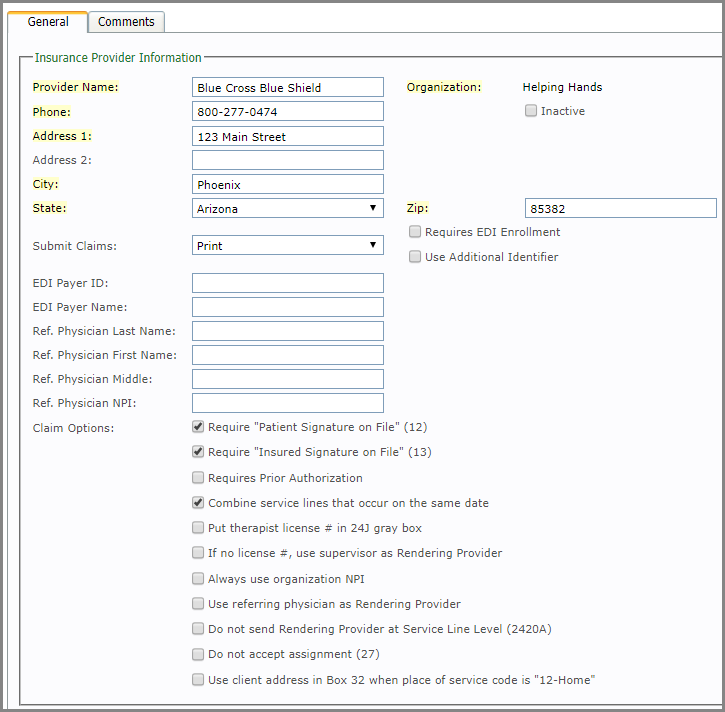 To add an insurance provider, go to Organization Billing and select Setup: Insurance Providers. 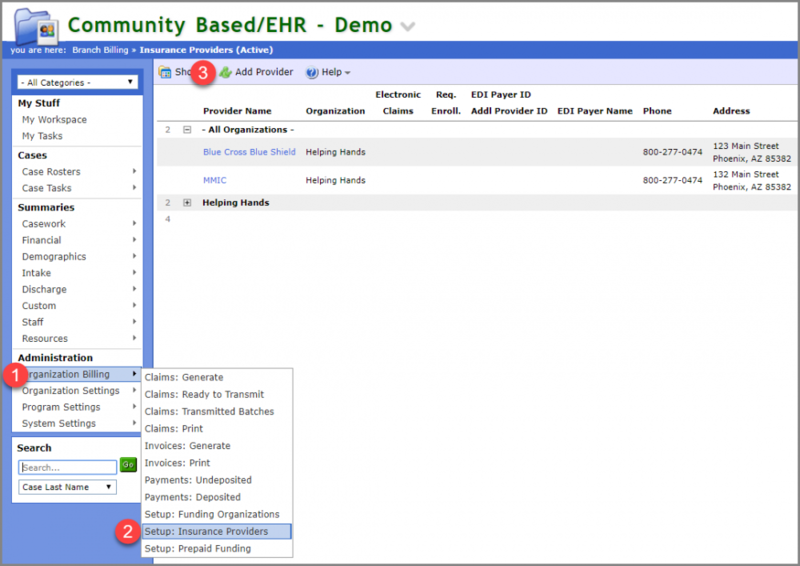 From there, click on the Add Provider button. 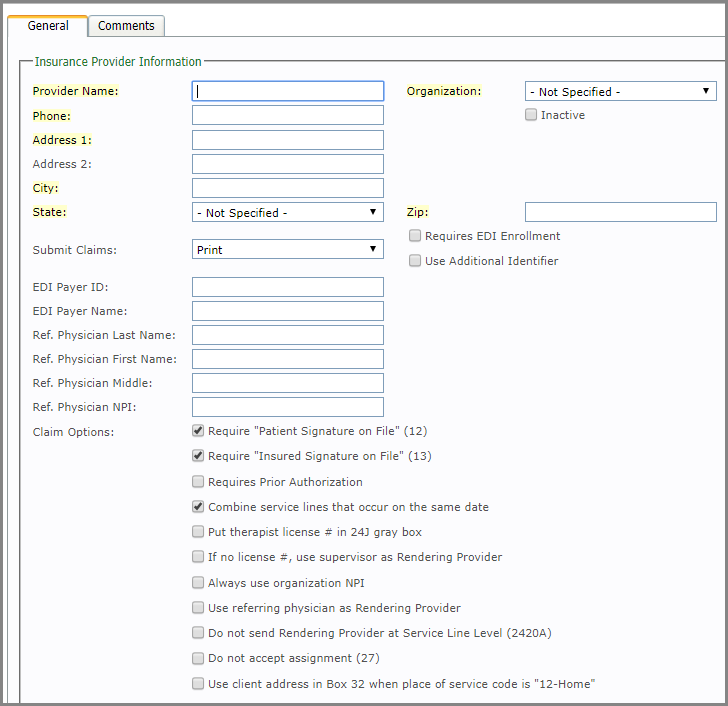 Once you selected Add Provider, fill in the required fields and any additional information.